NECG | New England Custom Gun Service, Ltd. If you are interested in a custom gun we ask that you send us a wish list of options that you would like to see incorporated into the build or even better are pictures of what you like and we would be happy to give you a price quote. NECG Custom 7x57 Mauser Sample only of NECG work. This gun was sold and a new home was found. NECG .375 H&H Classic Sporter Sample Only. This rifle was SOLD but a new one can be built just for you! Prechtl Double Square Bridge action with integral EAW bases and 30mm Rings. 22" Lothar Walther barrel with NECG sights. Rigby floorplate with extend lower tang. NECG can convert your existing RUGER NO.1 into a 20 Gauge Slug Gun. We start by extensively modifying the action and opening the loading area to accommodate the larger 20 gauge cartridge. Then a contoured 26" Verney Carron fully rifled 20 gauge barrel is fitted and chambered for 3" shells. 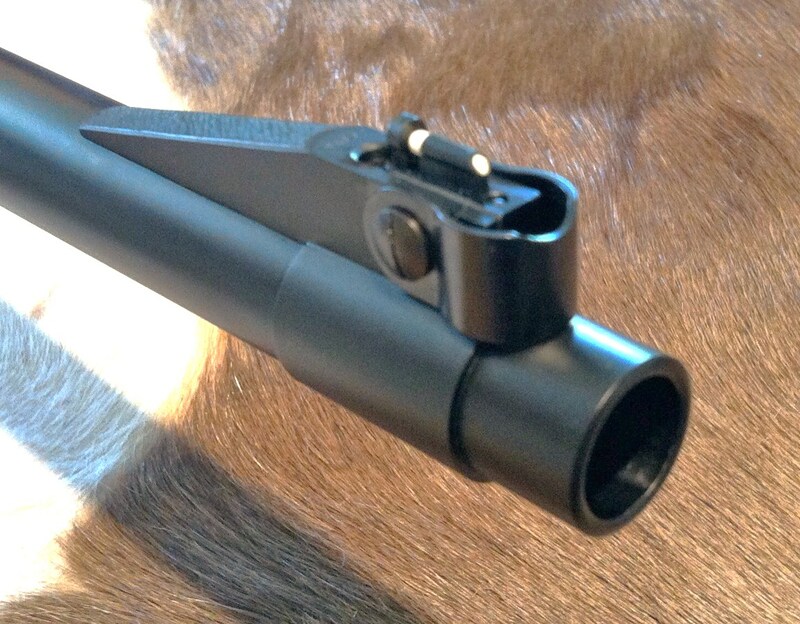 NECG sights, barrel band swivel and custom scope bases are fitted to the barrel. The barrel is then inletted into the factory forend stock. The metal is bead blasted and blued.